The American mega-carrier, United Airlines has taken "full responsibility" for the death of a dog during one of its flights after a member of the crew demanded it be put in an overhead luggage locker. "This was a tragic accident that should never have happened," the airline claims, however, better staff training would have prevented this animals death from occurring. 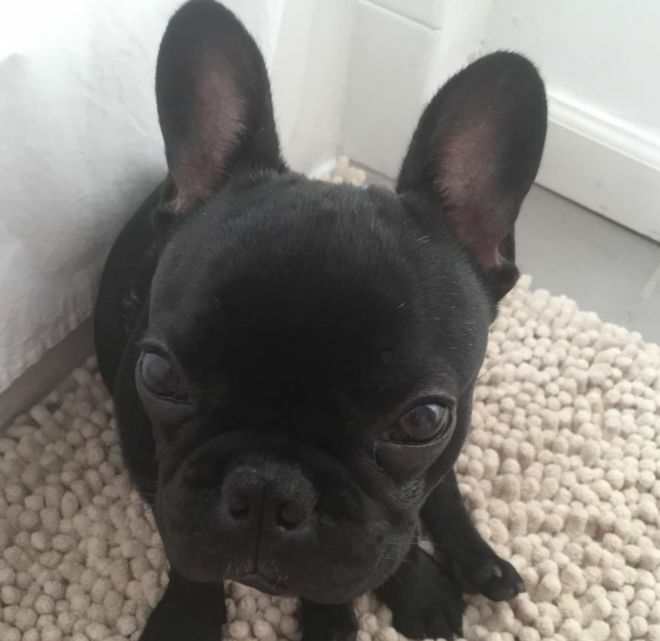 The dog, named Kokito, was a French bulldog and sadly died in a distressed state during a flight from Houston to New York on Monday this week. Eleven-year-old Sophie Ceballos, received Kokito for her birthday, said Kokito had barked during the flight and that "there was a lot of turbulence". Following a briefing from bosses, the attendant later said she did not know a dog was in the airline-approved pet carrier. United issued a statement saying, "We assume full responsibility for this tragedy and express our deepest condolences to the family and are committed to supporting them," They assured passengers, "We are thoroughly investigating what occurred to prevent this from ever happening again. Pets should never be placed in the overhead bin,"
Catelina Robledo, Sophie's mother explained to local media that she had been unable to get up to assist and reassure because she was holding a newborn baby in her lap during the turbulence. "The dog barked and barked but I could not stand." Maggie Gremminger was also a passenger on the United flight and sitting behind Ms Robledo and gave her account of how the situation unfolded. "I witnessed a United flight attendant instruct a woman to put her dog carrier with live dog in an overhead bin," she told One Mile at a Time. "The passenger adamantly pushed back, sharing verbally that her dog was in the bag. The flight attendant continued to ask the passenger to do it, and she eventually complied. United has a poor record on transporting animals, some 24 pets died while flying with US airlines last year, 18 of them with United, according to the Department of Transportation and during 2016 it had the highest number of pet and animal fatalities than any other US airline.